With cannabis, also commonly known as marijuana, in the national and world news so much lately you’d be hard pressed to find someone who isn’t at least vaguely aware of what this drug is. Despite having some knowledge about cannabis, you might not know that an addiction to cannabis can be a serious problem. Have you or a person you know got a problem with cannabis? Call or email us today for some immediate help and advice. 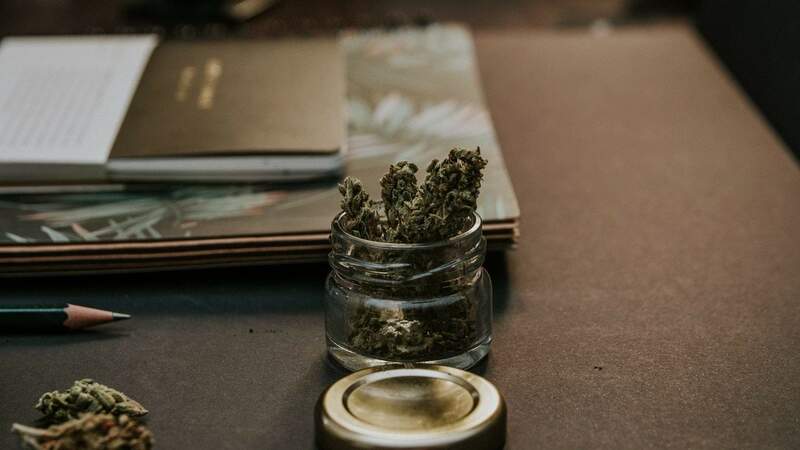 Known by hundreds of nicknames like spliff, ganja, weed, hash, skunk, and herb to name just a few, cannabis actually has a lot of myths surrounding it for a substance that is so widely known. To get some straight facts about cannabis beyond this article you can call Rehab Clinic at 0800 234 3825 any time, day or night. Cannabis is a naturally growing plant that when ingested or smoked acts as a relaxant, mood enhancer, appetite stimulant, and sometimes very mild hallucinogenic. Users usually report feeling the effects are quite quickly from smoking and prefer marijuana as medicine to ease the pain and nausea of cancer, AIDS and other extremely serious health conditions. However, like most psycho-interactive substances the effects of cannabis can differ from one person to the next, with some users feeling intensely anxious and paranoid. Because cannabis has long been the subject of much controversy in the medical and law enforcement fields, credible statistics about the level of use are hard to acquire. Many people can smoke cannabis regularly, as much as several times per day, and maintain a normal career and their health. Others contend that cannabis may not seem as harmful as other drugs but that it serves as a “gateway” drug, meaning that people who try marijuana are opening a gateway into a whole world of drug abuse. Drug rehab for a cannabis addiction should be a serious consideration for those who feel they have developed a reliance on the drug. The primary findings from a recent study from the official Advisory Council on the Misuse of Drugs (UK) were that while there are some health risks associated with inhaling smoke of any kind, even frequent use of cannabis cannot be rightfully associated with major health problems for individual users or society as a whole. Unlike almost any other recreational drug, the risk acute toxicity of cannabis is extremely low; studies have found an unusually large factor of separation (more than 10,000:1) between pharmacologically effective and lethal doses. In other words, it is nearly physically impossible to consume enough cannabis to die as a result of overdose. There have been some suggestions that there is a minor risk of bronchitis or lung cancer from smoking marijuana, but study by the United States’ National Toxicology Program found “absolutely no evidence” to support these claims.Extremely heavy and consistent use of cannabis will probably lead to dependence in some form, but its physically addictive potential is almost trivial compared to even tobacco and alcohol. Think You Or A Friend Has A Problem With Cannabis? It is becoming more widely accepted societal wisdom that the occasional use of cannabis is less dangerous than socially accepted drugs like alcohol and tobacco, but sale and possession remains a criminal offence in the UK and most countries. Cannabis can be discovered in the urine through drug testing for as many as to 2-7 days after a few sessions, but up to 30 days after the last time for heavy users.